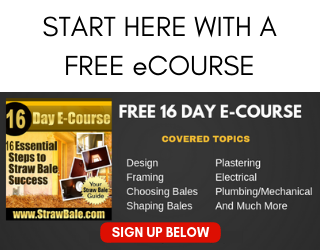 You have likely heard me say this before, but it is worth saying again: keep your plumbing out of your bales. 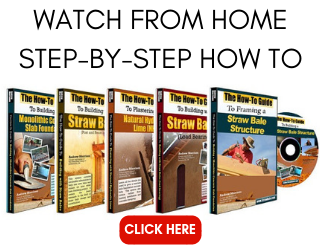 Of course, it’s not as simple as that when it comes to adding plumbing to a straw bale house. There are obviously more details to consider in order to ensure that the straw bale walls are not damaged by water infiltration. 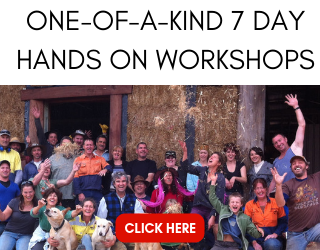 The good news is that there are a limited number of locations to consider in terms of potential water damage from plumbing in a straw bale home so managing the installation is easier than you may think. In this article, we will look at the major areas of concern and I’ll show you my preferred solution for each location.